Hidden away inside The Village by the Grange, Manpuku was a bit challenging to track down.The Fiance and I circled the food court twice before spotting the restaurant under a sky night on the way to the next building south. 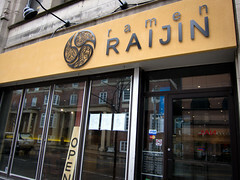 Atmosphere: The restaurant itself was cute and surprisingly spacious. I was expecting a ramen like shop with 10-15 seats but there was actually lots of tables and one table that could accommodate a group of 8. We arrived just before noon and were the first customers of the day. As the restaurant filled, there was an equal mix of students and office workers. In the centre of student chaos, Manpuku was a quiet lunch retreat. 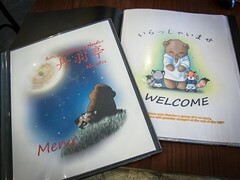 Service: As we entered Manpuku, we were greeted by the smiling servers in Japanese and directed to sit wherever. When we ordered the Takoyaki, the server let us know that there were would be a 15 minute wait as they’re made to order, we hesitated but stuck with them. She then checked in with the kitchen and updated us that it would only be a 5 minute wait, score. 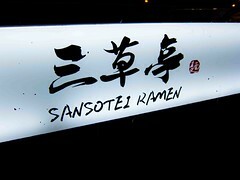 This was great especially as the bowls of udon arrived pretty much right after we ordered. 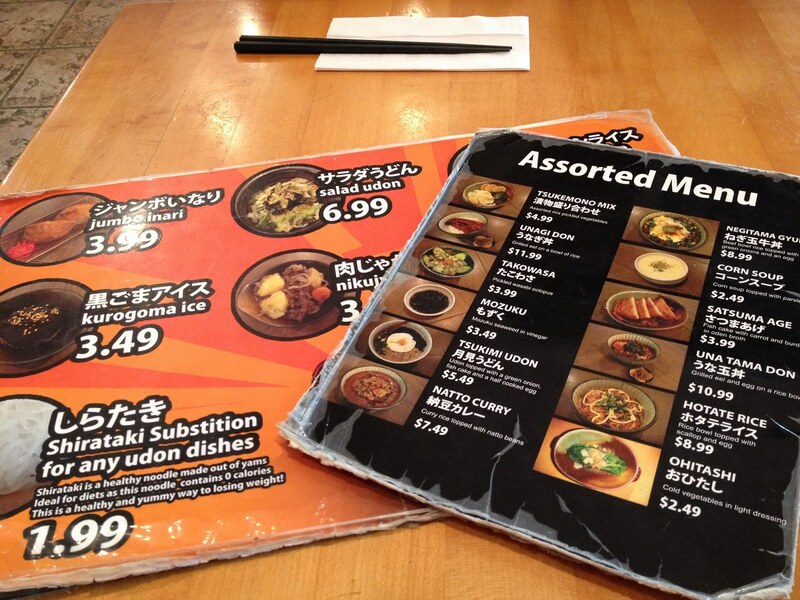 Food: In addition to Takoyaki, I ordered the Kitsune Udon ($4.50) and The Fiance choose the Beef Curry Udon ($5.99). 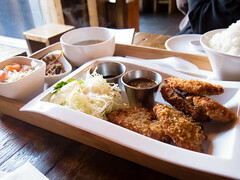 All of the menu items were affordable and an excellent price point for lunch. 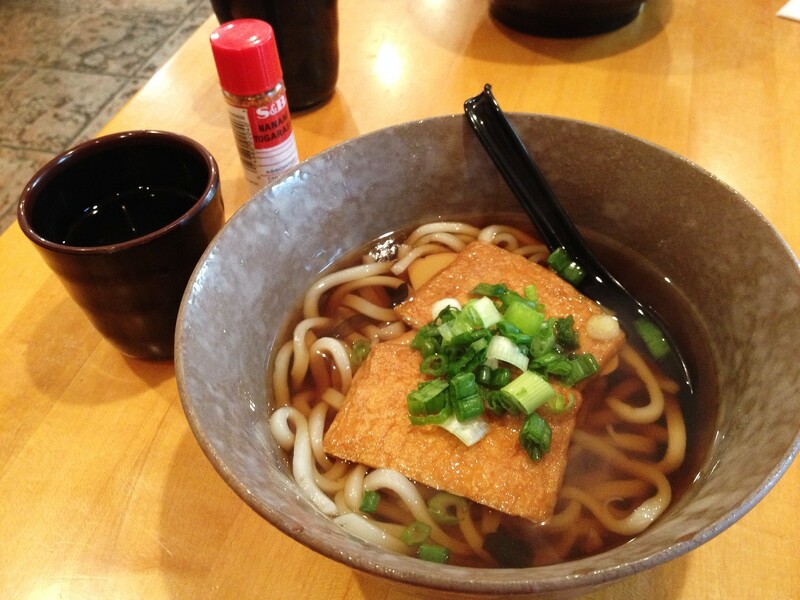 My udon had a good chewy texture and the clear broth, flavoured with smoked bonito was simple but rich in flavour. The two seasoned tofu pouches were soft, sweet and bursting with umami flavour. 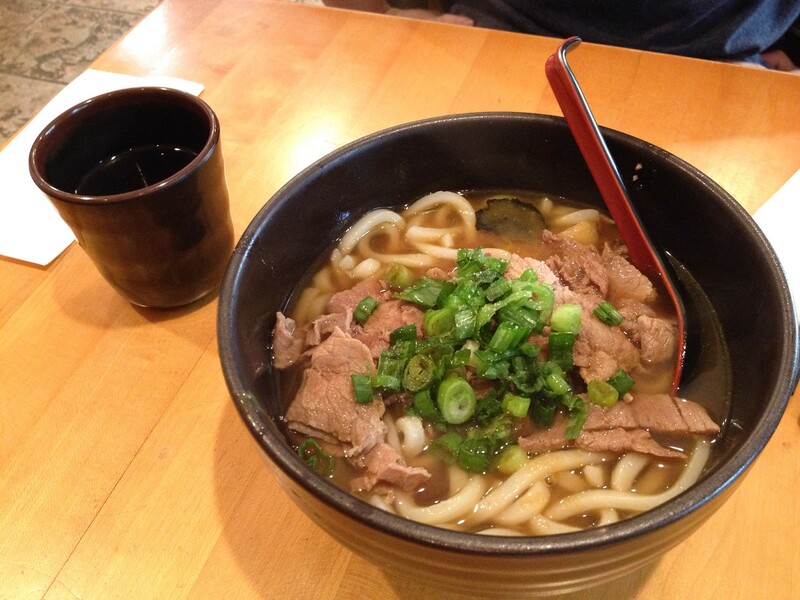 My bowl of udon was simple, made with high quality ingredients, had authentic flavours and was extremely satisfying. The Fiance’s curry beef udon tasted completely different. The beef was tender and topped with a generous handful of fresh green onions. There wasn’t much heat in the curry but it was rich, sweet and homey. I stole many spoonfuls of his soup. 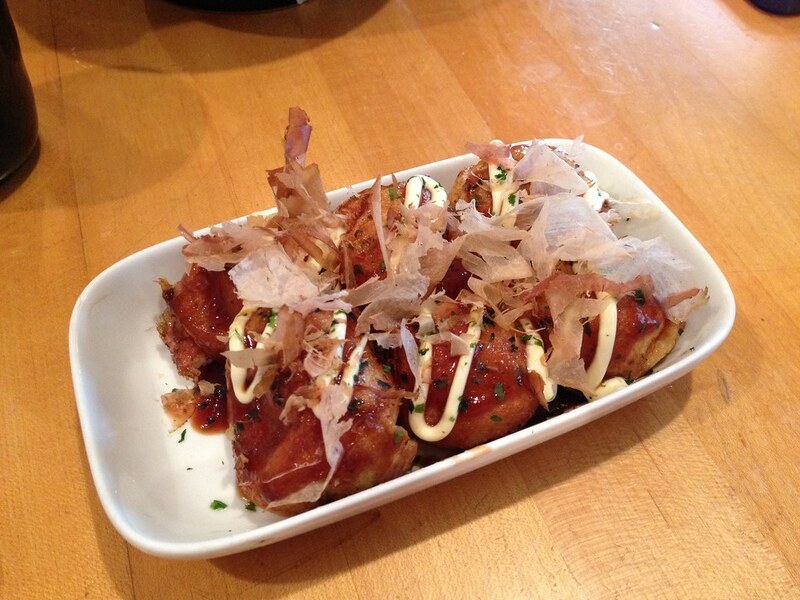 Manpuku’s takoyaki ($4.99 for 6) has been to date the most authentic ones I’ve eaten in Toronto. 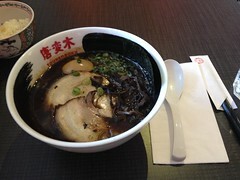 The flavours were bang on, reminding me of Osaka and more importantly, the gooey center. Each ball was beautifully crisp on the outside and the inside was just cooked and piping hot. Topped with takoyaki sauce, mayonnaise, aonori and bonito flakes, the plate could easily have come from a street vendor in Japan. 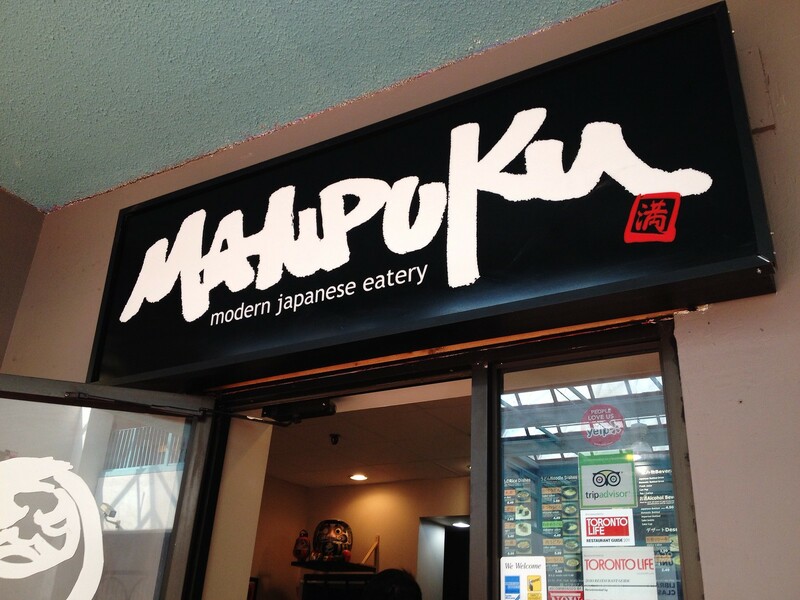 If you’re in the area, Manpuku is an excellent choice for a quick, delicious, satisfying and wallet-friendly meal. In fact for the quality of food being served up, I’d happily pay more.